I am a svelte, yet elegant, gentleman. However, because of my lean physique, others sometimes have a problem with it, and at least once in my life, I have been told to "eat more carbs." A while back, I considered ingesting more carbohydrates, but never found a superb carb to ingest - until now. It is official: 12-grain bread is my carb of choice. 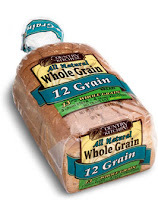 Twelve grains are the proper number of grains in a bread. 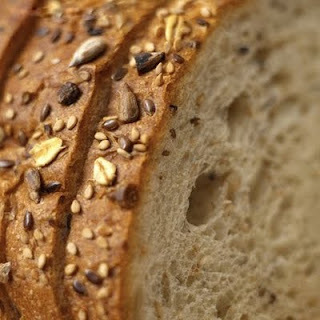 Anyone who has had 11-grain bread would agree that type of bread is sorely lacking in its grains. I do not believe it is produced, but 13-grain bread would be an overload of grains and silly. Mmm, mmm, 12-grain bread is delicioso.